I'm really excited about this pack and naturally I'll document my findings here. I intend to post this wrap up in 5 parts so you can follow along only a few days behind me. I'm hoping it'll be a great journey and I'm looking forward to trying some beers that I haven't had a chance to sample yet. Without any further ado, let's get into Part 2! The nose is far too sweet! It gives off aromas of butterscotch and caramel to go with a nice enough bisuity base. There are no hops evident on the nose or on the tongue and it just comes across as overly sweet. I'm not one for bagging beers that people work hard to produce, so I'll leave it at that. It's just not for me. 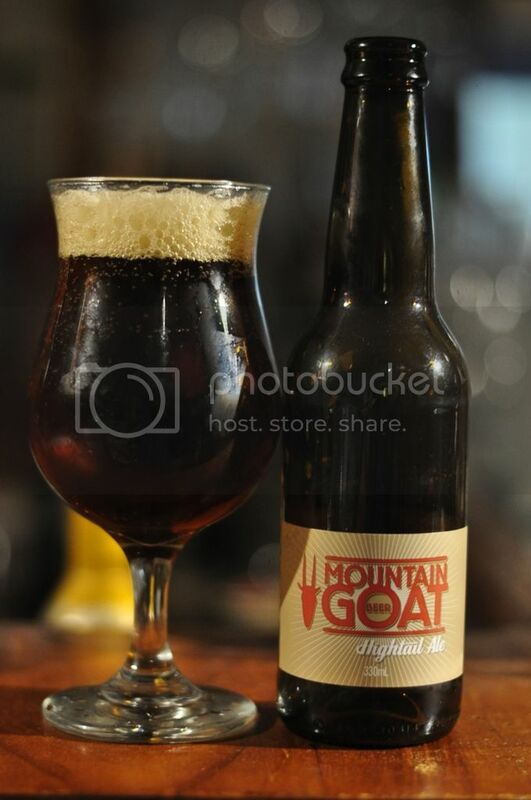 Day 7 - Mountain Goat Hightail - As I alluded to in Part 1 of this series, Mountain Goat is one of the founding fathers of the Melbourne craft beer scene. Their Hightail Ale, an amber ale, is the beer that started it all, first commercially released in 1997. As always, the Hightail Ale delivered! It has this wonderful citrus aroma that belies it's colour. 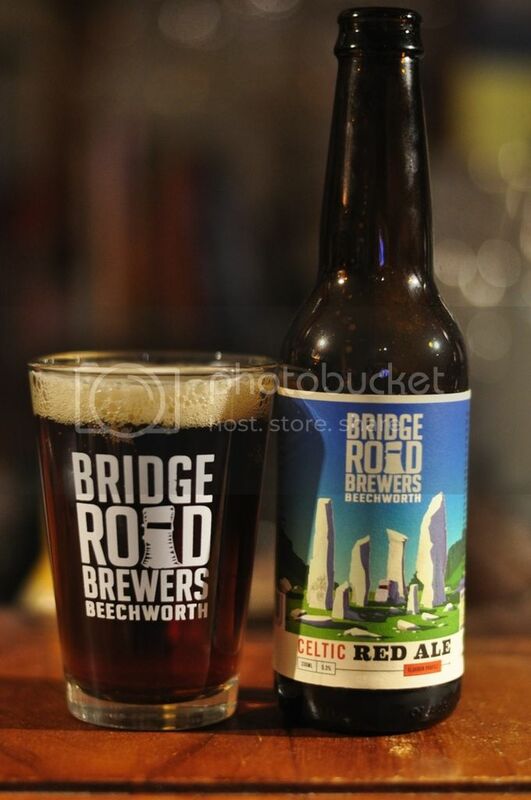 The flavour is a brilliant mix of these very hops, alongside with some floral and pine elements, that blend brilliantly with a caramel and chocolate malt base. Some amber ales can get a little cloying, not the Hightail from Mountain Goat! There's a reason this is still their flagship beer! 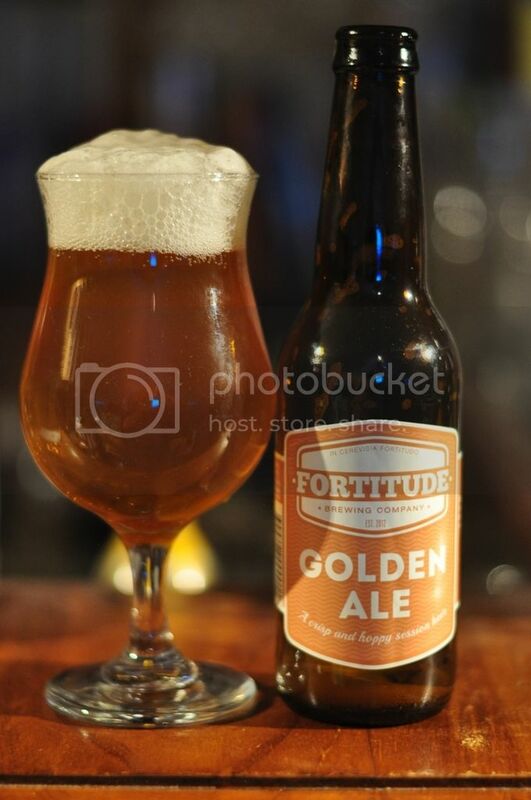 Day 8 - Fortitude Golden Ale - Fortitude are one of my favourite Queensland craft breweries. I've actually never tried this beer from them. I've never been a fan of the term Golden Ale but hopefully this one proves to be an exception. If their IPA is anything to go by, I hope it's got a bit of hops! I'm sorry to report that this beer was clearly infected. This concerns me a bit, I've never had a bad beer from these guys before, in fact I love their Anzus IPA and RSVP, so I hope this is just a one of problem. Disappointing for them that their first (I think at least) national exposure has been a bit of a let down. The sweetish-sour orange flavour was unique to say the least. 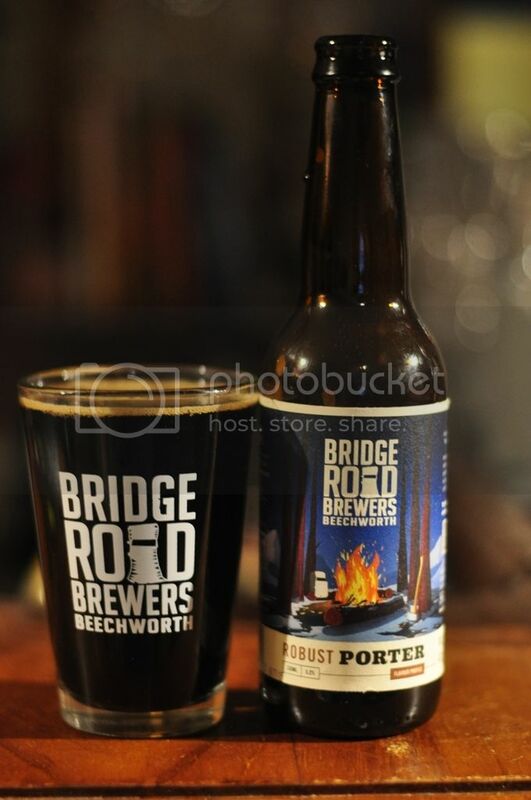 Day 9 - Bridge Road Robust Porter - Last year this beer really opened my eyes. It came out on Day 14 last year in #beerdvent. 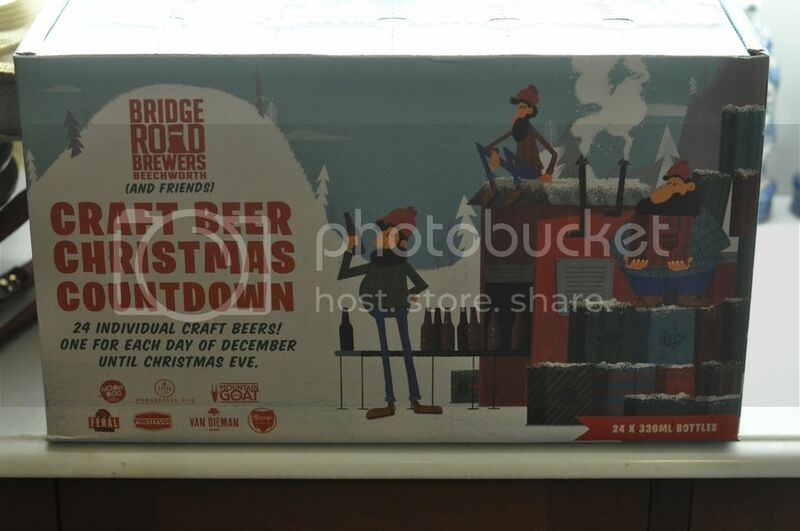 In #craftbeercountdown it's come out on Day 9 and it's had a face lift, like many of the Bridge Road Brewer's beers. This one's new label is fantastic! The beer looks brilliant and tastes even better! It's not sweet, it's just roasty and chocolatey. It's one of my favourite Porter's full stop, let alone just Australian! The mouthfeel is just perfect, it's slightly creamy and not too thin, my only concern with this beer sometimes. The dry finish just leaves you wanting more and more of this fantastic beer! 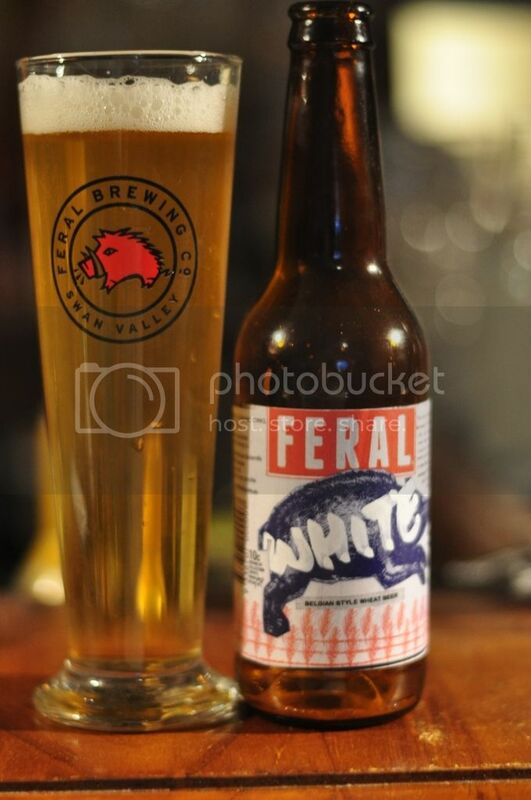 Day 10 - Feral White - I don't think I could've asked for a better post-Soccer beer than Feral's White. It's a witbier, a Belgian style of beer made with a predominantly wheat base. Something I didn't know until recently; White was Feral's first beer, and is far and away their biggest seller in their home state of Western Australia. This took a while to sink in for me, this beer out sells Hop Hog in W.A... When I though about it for a while, it almost makes sense. This has a relatively low ABV (4.6%) and is very refreshing. There's plenty of citrus, mostly orange, as well as some spices and coriander. The carbonation is very light and I could easily see myself knocking off 4 or 5 of these on a hot afternoon. After a further 5 days of #craftbeercountdown I'm much happier with the selection that's been included. The Fortitude Golden Ale being infected was a big disappointment, as I was really looking forward to it, hopefully their Anzus IPA is coming in the days ahead. Mountain Goat and Feral's first beers delivered the goods as expected, while I've already made a note in my phone to buy some Bridge Road Robust Porter in May next year! Bring on the next 5 days!